In the latest issue of the Grassroots Development journal, we explore how our grassroots partners are building resilience to cope with environmental challenges presented by changing climate conditions. As our Haitian partners are working to rebuild their communities following the devastating Hurricane Matthew in October, this article explores how even the most prepared populations can be vulnerable. 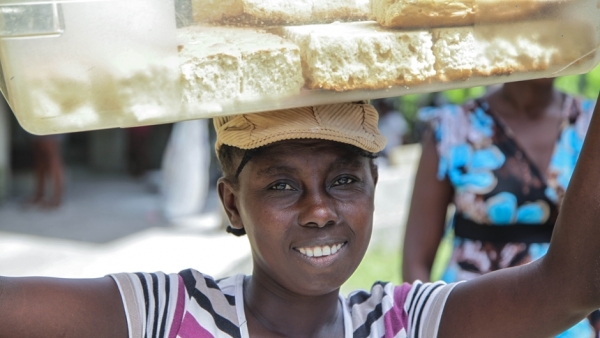 For decades the IAF has collaborated with Haitians who have come together to improve their own communities through projects focused on food security, education, health, small business development and sustainable agriculture. The IAF will continue to strengthen networks built over time to make sure they receive the resources that they decide are the most important. IAF grantee partners in the region are taking steps to counter pervasive coffee rust (Roya) infestations that are increasing due to warmer, wetter weather. With the IAF’s help, innovations to fight Roya, such as organic recipes for natural fertilizers and fungicides, have spread from Central America to Mexico and the Dominican Republic. The Finca Humana approach to agriculture, a farmer-to-farmer methodology for sustainable practices championed by the late Elías Sánchez, is helping Honduran families weather prolonged drought while enhancing quality of life. 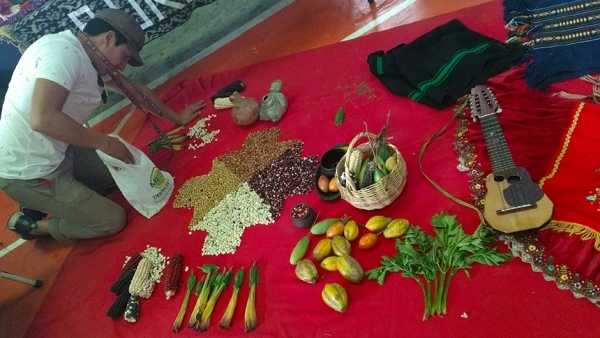 Here we present a profile of the IAF grantee partner Semillas organization, which is working with Afro and indigenous communities in the departments of Tolima and Cauca in Colombia, which are prone to drought and desertification. Semillas is bridging communities with different interests through model farm schools that promote environmentally friendly agricultural practices. In the process they have built understanding and cooperation among neighbors through the creation of seed banks for the recovery, conservation and management of native seeds. A story told through colorful, vibrant photographs. These pictures tell the story of how collective work is generating supplemental income for indigenous women based on the traditional practice of cultivating agave in the Valle de Mezquital in Hidalgo state in Mexico, transforming their crafts into popular cosmetic products sought by clients across the globe. This article celebrates former grantee partner PH15’s visit to Washington, D.C. from Argentina, November 15 to December 2, for an exhibit of PH15 photographers’ works at the Embassy of Argentina. This exhibit was featured as part of FotoWeekDC2016, organized by a nonprofit in partnership with National Geographic as a citywide celebration of the craft. This article describes how communities in the semiarid northeast of Brazil are adapting to cope with historic, lengthy periods of little or no precipitation. Community members are building water cisterns and rainwater catchment systems. They are planting agroecological gardens and switching to livestock that are more resilient to drought. Native beekeeping and honey production and small enterprises have enabled them to improve rural livelihoods in spite of the drought. The Inter-American Foundation (IAF) is pleased to announce its Grassroots Fellowship awards for 16 Ph.D. candidates from U.S. universities. The fellows will conduct dissertation research in Latin America during 2016 -2017. They were selected on the strength of their academic record, their proposals and their potential contribution to grassroots development.